Thomas Cole was born in 1801 at Bolton, Lancashire in Northwestern England and emigrated with his family to the United States in 1818. During the early years Cole lived for short periods in Philadelphia, Ohio, and Pittsburgh where he worked as an itinerant portrait artist. Although primarily self-taught, Cole worked with members of the Philadelphia Academy, and his canvases were included in the Academy’s exhibitions. In 1825, Cole discovered the haunting beauty of the Catskill wilderness. His exhibition of small paintings of Catskill landscapes came to the attention of prominent figures on the New York City art scene including Asher B. Durand, who became a life-long friend, and his fame spread. While he was still in his twenties, Cole was made a fellow of the National Academy. In 1829-1831, Cole returned to Britain for study, to attend to family business and to travel to France and Italy. These years were among the most happy and productive of his life. Cole met a large number of wealthy Americans traveling abroad and received numerous commissions from them, increasing his reputation and stature. Cole returned to New York City in November of 1832 and mounted an exhibition of his European paintings, which aroused considerable public interest. Shortly thereafter, Cole first established his rural studio in Catskill, New York, when he rented a small outbuilding at Cedar Grove, now the Thomas Cole National Historic Site. During the winter of 1835-1836, Cole stayed in Catskill working on “The Course of Empire.” During this period Cole began to express strong views concerning the impact of industrial development and its negative consequences for the wild beauty of the Catskills landscapes that were the source of inspiration for his work. The growth of the railroad by “copper-hearted barbarians” was of particular concern. In 1836, both Cole’s father and his patron Luman Reed died, but there was happiness in that year as well. On November 22, 1836, Thomas Cole and Maria Bartow were married at Cedar Grove, which became Cole’s home. The couple was given a suite of rooms on the second floor of the house. Many of the great painters and literary figures of the day began to visit the Coles at their Catskill home. 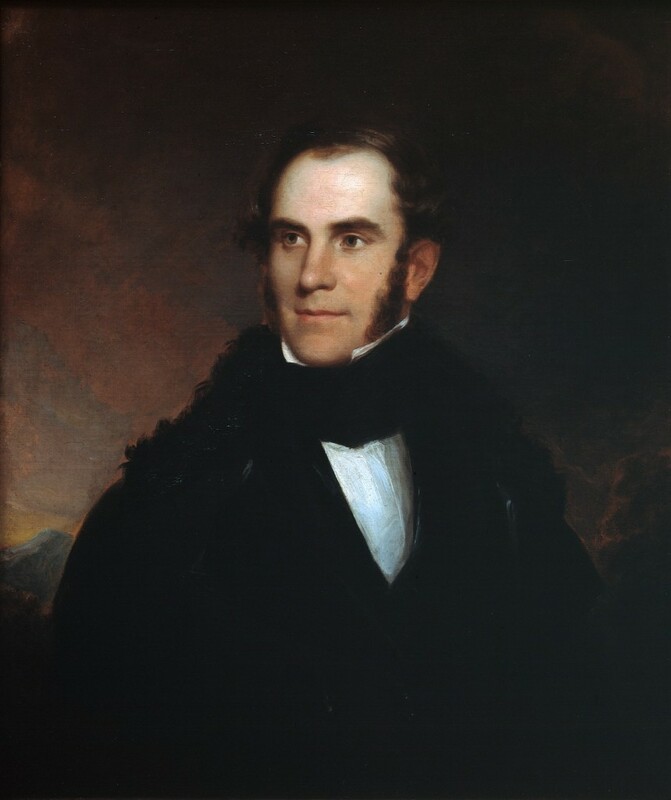 Among the calling cards in the Cole papers of the Albany Institute of History and Art is that of James Fenimore Cooper. On January 1, 1838, the Cole’s first child, Theodore Alexander Cole was born. 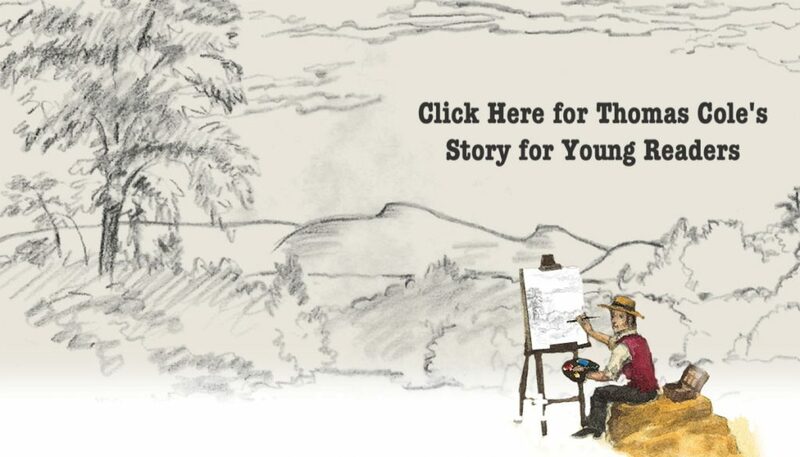 In March of 1839, Cole agreed to produce four paintings to be known as “The Voyage of Life” for Samuel Ward, a wealthy banker and philanthropist. The price agreed upon was $5000. Ward would die in November of that year without seeing his commission completed in December of 1840. On August 7, 1841, Cole traveled to Europe once more, visiting relatives in England. Again, he visited France and Italy and journeyed to Switzerland. Cole was a welcome and popular guest. He painted a second “Voyage of Life” while in Italy and shipped the series to New York. Cole returned from his second European tour on the steamship “Great Western” in July of 1842. After his return from Europe, Cole made the decision to receive baptism, confirmation and communion in the Episcopal Church and became a member of Saint Luke’s Episcopal Church in Catskill. Cole later designed a new church building for Saint Luke’s and for his friend and eventual biographer, the Reverend Louis L. Noble, the Church Rector. By February of 1843, Thomas Cole was realizing that he had become a public figure and commented on this in his letters. Cole was also having financial troubles. Throughout the subsequent years, he continued to worry about selling his paintings. During this time, a number of Cole letters and poems were published in New York papers and magazines. In May of 1844 Cole agreed to accept Frederic E. Church as a student in his studio. Church’s father agreed to pay $300 per year for young affluent Church’s instruction. This agreement lasted until June, 1846. Room and board was three dollars a week. Cole took on a second student, Benjamin McConkey, on the same terms. In February 1846, Cole began another series of paintings to be called “The Cross and the World.” Cole’s second studio, some distance from the main house, was built during this period and was used by the artist from this time on. Cole was very proud of this building, which came to be known as the“New Studio”, and loved to show it off to visitors. On February 6, 1848, the Cole family attended a morning service at Saint Luke’s Episcopal Church in Catskill. After lunch, Cole complained of lassitude and by midnight his condition worsened and the doctor was summoned. An attack of pleurisy and congestion of his lungs followed. Thomas Cole died in the Main House at Cedar Grove at 8 pm on Friday, February 11th, 1848. The funeral was held at Saint Luke’s Church and burial was in the family vault at Cedar Grove on February 15th. Due to extremely cold weather, however, very few friends could attend these last rites. Cole’s body was later moved to the Thomson Street Cemetery. Asher B. Durand (1796-1886), Portrait of Thomas Cole, 1838. Oil on Canvas, 30 1Ž4 x 25 in. Framed: 36 1Ž2 x 31 1Ž2 in. Berkshire Museum, Pittsfield, MA, Gift of Zenas Crane, 1917.